A list of happy hours, half off wines and free corkage is great and all, but you know what's equally as good? Equally as important? OYSTERS. But oysters aren't cheap. Usually. Unless you find a deal for $1 oysters, so here's a list of where you can eat 20 oysters in one sitting any day of the week. Of course, if you know of another restaurant with this deal, please let me know! 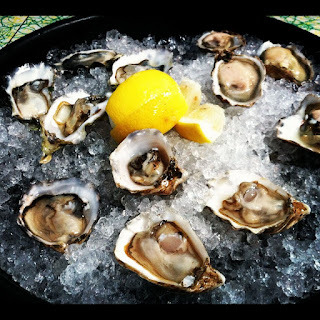 $1 oysters with pink peppercorn mignonette, 5-6:30pm. Bar/lounge area only.